Leesh and I have been trying to perfect our pizza making over the last 3 or 4 years. Over the last few days we've shared tips on our favorite pizza tools and our favorite crust, and how to make it perfect. And I think we've got some good things going on. We had pizza last Tuesday night - and as my husband was eating he said, "You have pizza making perfected!" Thanks to Leesh, I think we have - she's a pizza ninja! Our combined tips and recipes make one darn good pizza if you ask me. Today I'm sharing our favorite homemade sauce recipe. I love this recipe so much. It's simple and provides a perfect flavor. It's a bit thicker than the canned pizza or pasta sauce you would buy and use on a pizza, and I like it that way. But it's adaptable to your preference of thick or thin (see recipe below). What I love about this sauce is the combination of tomato sauce and paste. The flavor is enhanced with fresh Parmesan (or powdered if you prefer) and yummy seasonings. The rich flavor from the tomato paste mixed with the spices just does it for me. Soooo good! 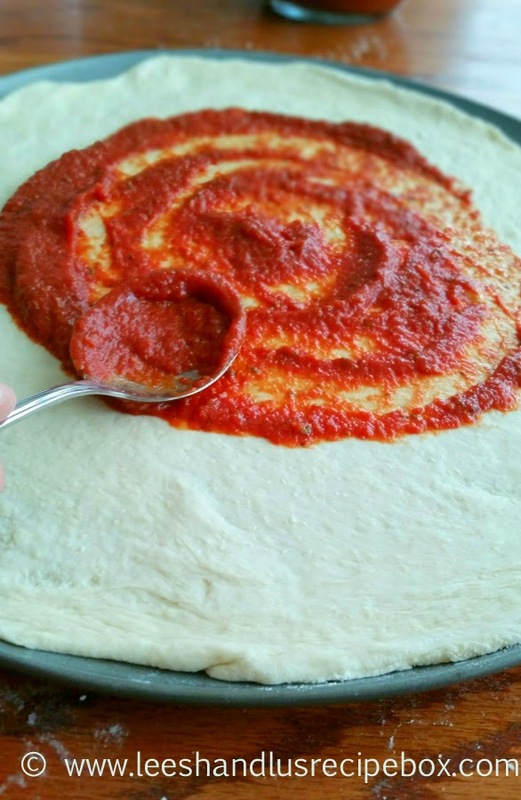 I like to make this sauce in a big batch and then freeze it in individual baggies (enough sauce for 1-2 pizzas, since that's how many we usually bake at a time). And it works out great! I put it in sandwich bags and then into a freezer bag. This way I can thaw them in just a few minutes if I leave the bag in some hot water in the sink. By the time I roll out the dough - the sauce is ready to spread. When I don't have this on hand or don't have time to make a this sauce - I use Hunt's Garlic & Herb spaghetti sauce as a back up. 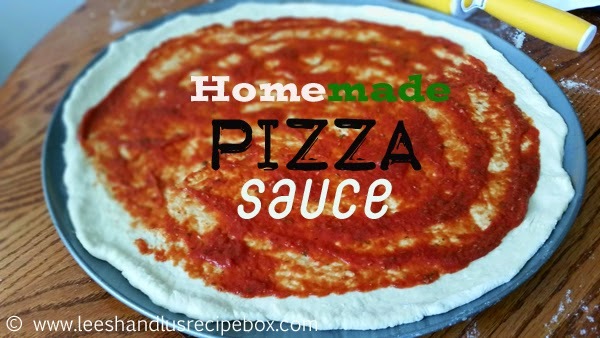 They are both good - but I prefer this homemade sauce for it's superb richness and flavor! Mmm, I just can't tell you how much I like it. I hope you'll love it! This sauce is loaded, just had to say that one more time, the rich tomato sauce, flavorful herbs and Parmesan cheese - it's just great! It makes any pizza tastier - even a simple cheese pizza. Enjoy some homemade pizza today! ¼ teaspoon black pepper, fresh ground. 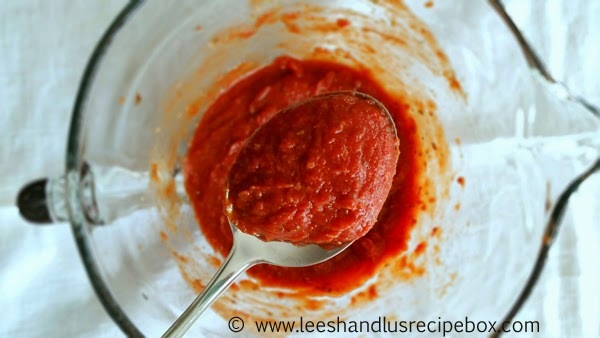 Mix tomato sauce and paste in a small mixing bowl until smooth, add seasonings and mix. Add cheese and mix until smooth. Spread over your favorite pizza crust and top with desired toppings and bake. 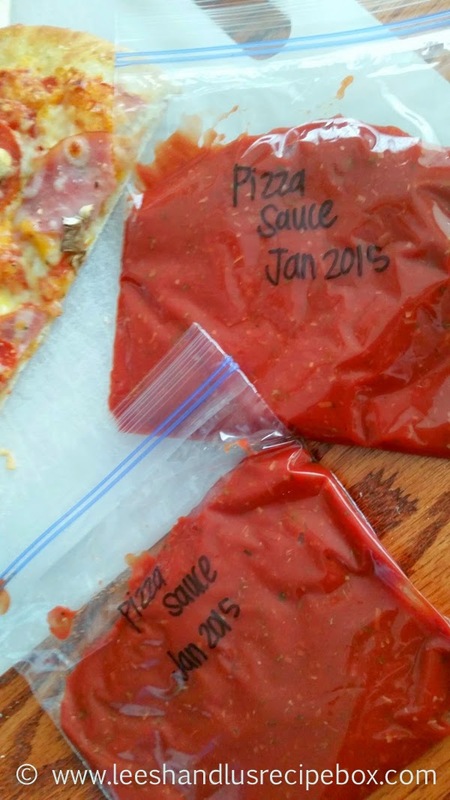 I like to mix a double or triple batch of this and freeze about ⅓ to ½ cup in ziplock sandwich bags (I put all the sandwich bags in a quart or gallon freezer bag) for quick use when we make pizza. It thaws in just a few minutes if you put it in a sink full of hot/warm water.